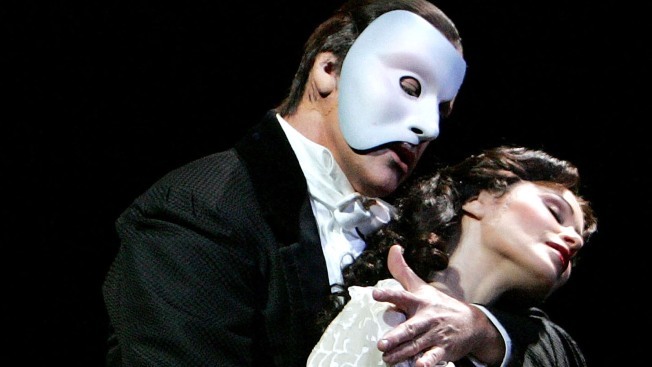 Phantom of the Opera is one of the most iconic shows on Broadway. One of the few favorable trends on Broadway over the past 15 years has been the steadily shrinking clout of Andrew Lloyd Webber. There was once a time when the box office draw of his bombastic scores couldn't be topped: Jesus Christ Superstar, Evita, Starlight Express, and Sunset Boulevard were, of course, some of his biggest hits, spanning three decades of musical dominance. The aughts, however, have been less kind to him: Cats closed after eighteen long years in 2000, and both By Jeeves and The Woman and White closed in less than three months. And yet, we still have The Phantom of the Opera, a dusty old tuner that's been running here since 1988 and that just last week pulled in one of the highest attendance rates of any Broadway show. So it seems only natural that the fallen composer is hoping lightning strikes twice when his sequel to the show, hilariously titled Love Never Dies, opens in October. But what can we expect from such a ridiculous undertaking? In 1907 New York, the mysterious "Maestro" who runs the theatre at Coney Island announces a one-off concert by legendary Parisian soprano Christine Daa;. Her arrival in New York with husband Raoul, Victome de Chagny, and son Gustave, and their subsequent meeting with the "Maestro" bring the cataclysmic events of ten years earlier at the Paris Opera crashing back into all their lives. As if the plot isn't bad enough, some of the casting notes have us tickled. Phantom: "Must possess effortless gravitas and sexuality. Powerful rock-tenor singing voice." Raoul: "Now a functioning, stoic alcoholic ... Must possess domineering gravitas and sexuality." So, a couple of middle-aged guys, a creep and a drunk, hanging around Coney Island? We give it three weeks, tops. Revealed: Will the Battlestar Galactica Finale Disappoint?